Titan Casino Review 2019 - €£$5000 FREE Titan Bonus! Visit Titan Casino Get Your Bonus! Titan Casino welcomes UK players. Fully licensed and regulated. Licensed by the Antigua and Barbuda Financial Services Regulatory Commission Titan Casino promotes responsible gambling and the software is fully licenced and regulated. Safe & secure banking methods ? All legitimate, real-money online casinos like Titan Casino have strict anti-fraud screens, and that may create a short withdrawal delay. Titan Casino are offering a great welcome bonus. They'll match your first three deposits at 100% allowing you to earn up to $5000 in bonus cash. T&C Apply i 18+ only, 200% bonus up to £300 on your first deposit, New Customers Only, Min Deposit £35, 35x Wagering reqs, offer must be accepted within 72 hours. Bonus Valid for 30 Days, Bonus can't be withdrawn. Not all games contribute the same percentage to the Wagering req, Skrill/Moneybookers and Neteller are not valid for this promo, Real money balance can always be withdrawn. Full terms apply. This casino's motto should be "bigger is better." But what else would you expect from a name this attention-getting? From the 400+ games, to the unusually generous Welcome Bonus, to a website that goes way beyond the norm in the clarity and completeness of information that players actually need, everything has been done on a grand scale. The Titan Casino website (which you should not confuse with a completely different entity, Casino Titan) would have you believe it is the greatest online casino on the planet, and maybe it is. Their declaration that you are due for a "titanic moment", playing their "titanic games," and reaping their "titanic rewards" might be a stretch, but who cares? Established in 2008, Titan Casino has grown into one of the largest online casinos in the world, so this is one ship that should stay afloat indefinitely. 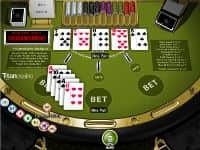 Titan Casino is owned and managed by Imperial E-Club, Ltd., which also owns and operates (separately reviewed) Titan Casino, Vegas Red, and Europa Casino. Like the three sister casinos, Titan Casino is powered by Playtech, one of the world's leading casino software companies, and is licensed by the Antigua and Barbuda Financial Services Regulatory Commission. This organization has certified that the website's software meets internationally recognized standards for fairness and that the players are also treated fairly. In addition, all games have been independently tested for fairness by Technical Systems North America. The easy-to-install software can be downloaded in minutes. Or, if you prefer, you can use the no-download instant flash version. You can also play the games on your mobile device. Unfortunately, at this time, there is no access for U.S. residents. *In each instance, the play through requirement for withdrawal is for bonus and deposit combined. Only slots count 100% toward meeting the play through requirements for withdrawal. Other games count substantially less or not at all. The bonus acts like a match play and is not withdrawable. As if 400+ games aren't enough, Titan Casino is continually adding new ones. 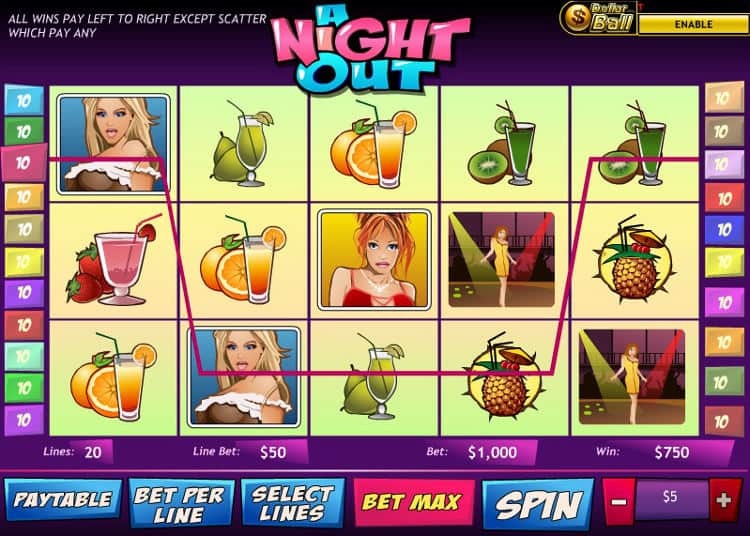 Slot players will find everything from traditional 3-reel slots to the most innovative video slots. You will also find MGM, Marvel, and Universal Studio games, as well as mega jackpot progressive slots. If you prefer table games, the wide betting range should accommodate you. For example, at a blackjack table, the minimum bet might be only a dollar and the maximum 5 hands of $300. If you're in the mood, you can try out a variation of roulette or blackjack. But to maximize your chance at winning, read up on the rule and playing strategy changes first. Also, check out the live dealer blackjack, roulette, and baccarat games. As soon as you grab a seat at a virtual table, you're good to go. Hard to believe, but the picture of the dealer you see on your screen is a real person in a real casino. You can chat with him or her and other players directly from the game's own chat window. You can even tip the dealer, if you so desire, just like in a real casino. Online casino games are fun but they're also pretty much just luck. If you're itching for some real money action that needs skill, you may be interested in a good online poker site. Thankfully Titan Poker is one of the biggest and best and gives you the same excellent graphics and experience that their casino offering does. More likely than not, any banking method you want to use that casinos accept will be fine. That's how long the Titan Casino's list is. However, you might as well grab the 10% to 15% extra bonus for using a preferred method. A partial list is included elsewhere in this review. Or see the casino website for the complete list. For any banking related questions, 24 hour customer support is available, via live chat, phone, or email. A complete summary of the generous Welcome Bonus offered to Cardschat.com players is presented separately. One drawback is that in order to withdraw your winnings, the play through requirement incorporates not only the bonus money, but also the money you deposited to get the bonus. Unfortunately, as generous as the bonus is, slot play is the only practical way to access its benefits quickly. All players earn comp points based on their play. However, slot play is rewarded at the fastest rate, 1 comp point for each $9 wagered. Most other games require $20 or $30 in wagers to get 1 point. As your points accumulate, they can be exchanged for credits to your account. The casino has a 6 level VIP program. While all payers enjoy some rewards, the higher your level (based on your play), the more incentives and exclusive offers and benefits you receive. For example, withdrawals are quicker for premium players. They also get to play in invitation only "Elite Challenge" tournaments. Besides the first year Monthly and Weekly Bonus described elsewhere, any player with 4 or more deposits in one week receives a Weekly Loyalty Bonus (subject to 25x play through for withdrawal). The amount of the bonus varies with VIP level; bronze players get $50 while top tier Premium Club members get $250. If you refer a friend, there is a $50 bonus for you and a $25 bonus for your friend (on top of the regular Welcome Bonus). The website is loaded with helpful gaming and money management advice. It even includes some information you would never expect to see like "How to Avoid Slot Machine burnout." Titan Casino is still getting into the mobile gaming business, and offers only a few of its games through its mobile site. 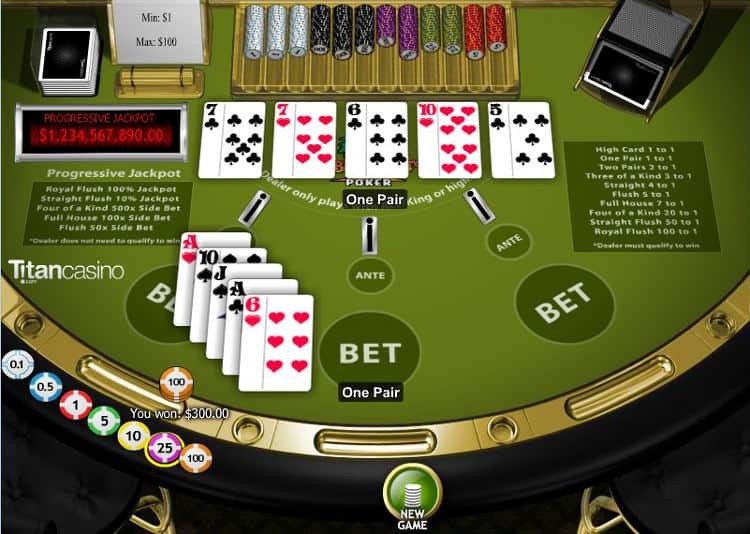 However, the fact that you don’t have to download anything in order to play, and that you can play with both Android and iOS devices, makes it a convenient way of putting the casino in your pocket. Titan has put a lot of work into its graphics which are brilliant and crisp on even the smallest screen, and their ease of use makes you want to never leave. The impressively high welcome and weekly deposit bonuses only encourage you to play more. For the moment, Titan Casino accepts only a few ways of payment and that can be quite limiting when it comes to deposits and withdrawals. Hopefully they will increase their accepted methods soon to allow for more flexibility. For now, Clickand Buy and Neteller are some of the only methods you can use to both deposit and withdraw your winnings. This being said, Titan Casino’s mobile site is using an interface that makes everything really easy to do straight through your mobile device. You don’t have to have a computer to fully control your casino account. With a 98% return on your bets, Titan Casino knows how to manage your money. Its software has been chosen for its simplicity and clarity to ensure that you can always find what you want. The high welcome bonuses are enticing, and can keep you playing for enough time to get the hang of the games which are constantly increasing in number. Currently at over 400 games, Titan has no intention of stopping, so you can always find a game you haven’t played yet. Add to this the crisp visuals and excellent mobile site, and you don’t need to go anywhere else to get your betting fix. Join Titan Casino and earn up to $5000!